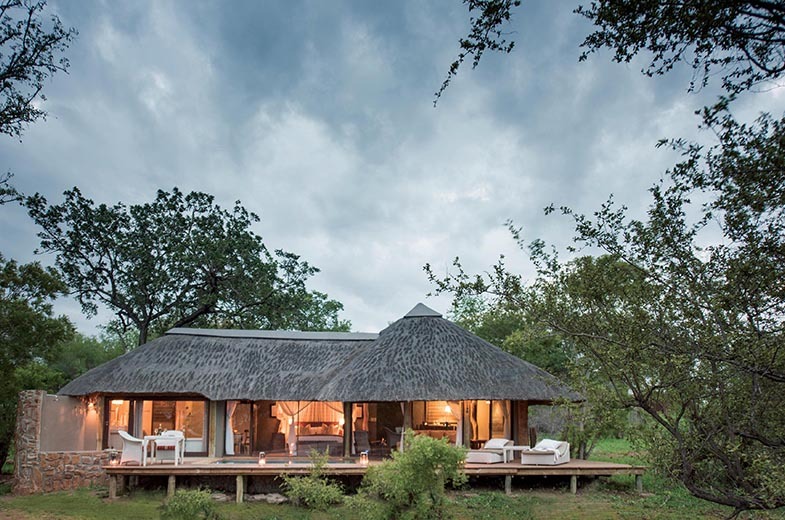 Leopard Hills is a luxurious traditional thatched lodge set on a rocky outcrop, offering magnificent views over the bush and over an active waterhole on the plains below. 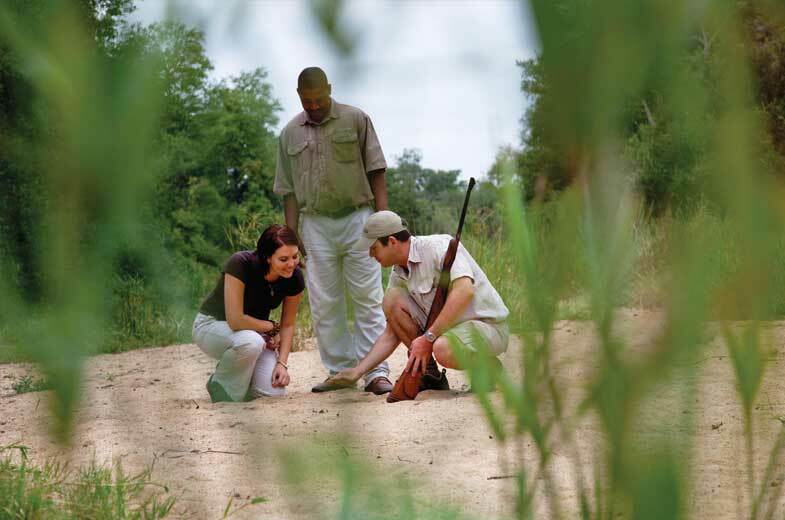 With traversing over 10,000 hectares of diverse ecosystems, game is plentiful and the Big Five abound. 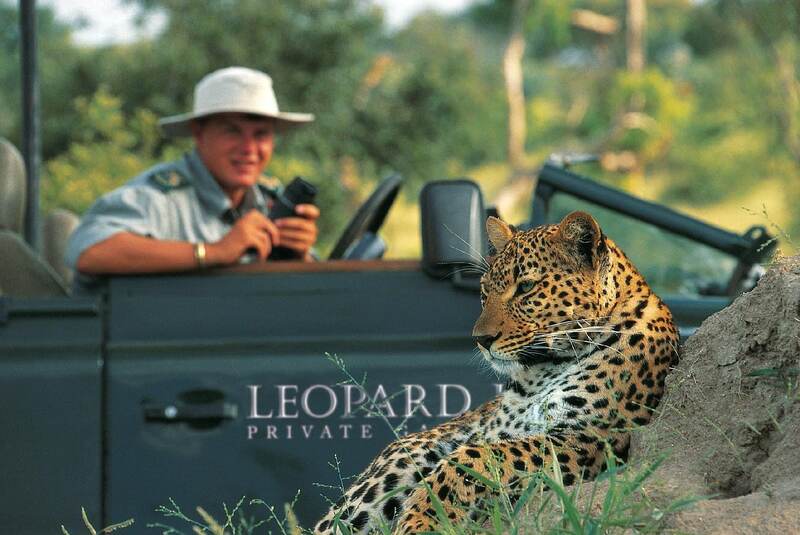 Leopard Hills prides itself on viewing animals at close proximity. 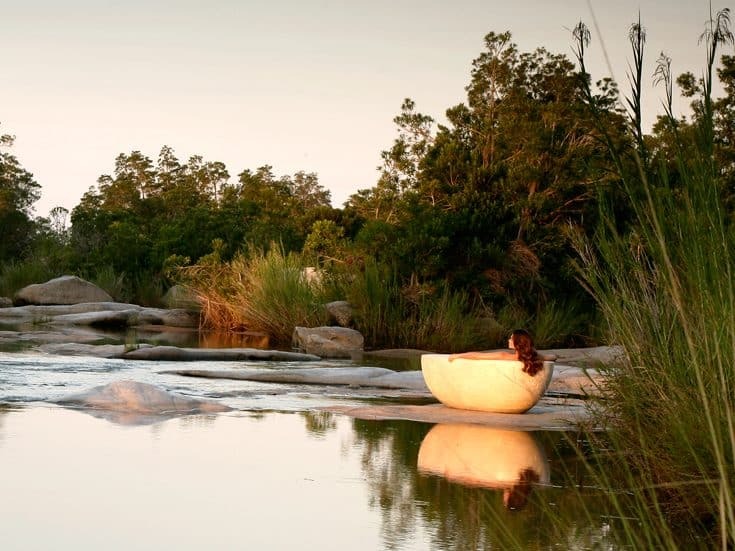 Bush walks are a flexible activity, normally conducted after the morning game drive for 1 or 2 hours. 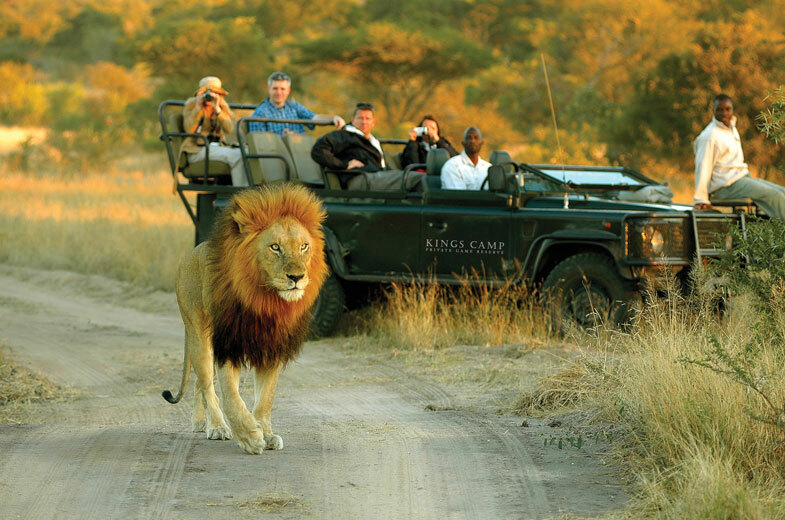 Longer walking trails can be arranged anytime and can even be in place of morning game drives. 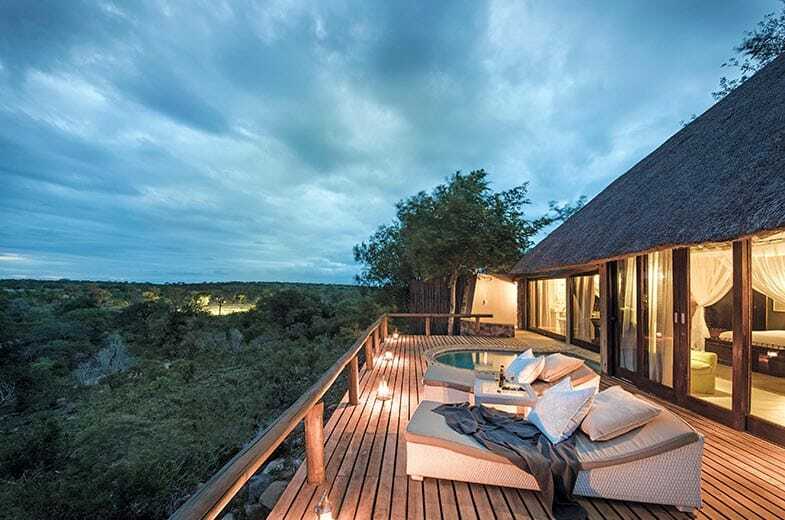 Eight exquisite glass-fronted suites, complete with their own sundeck and rock plunge pool, offer superb views of the African bushveld. Pool loungers and hammocks are outside. 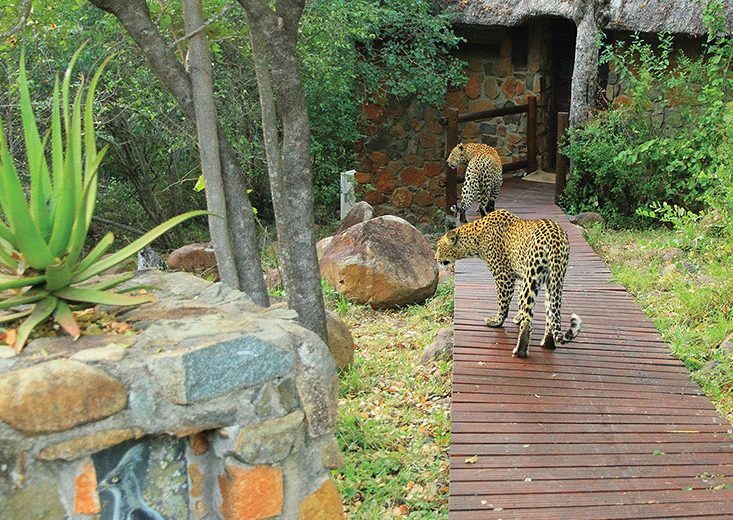 Some suites are at ground level and closer to the waterhole. 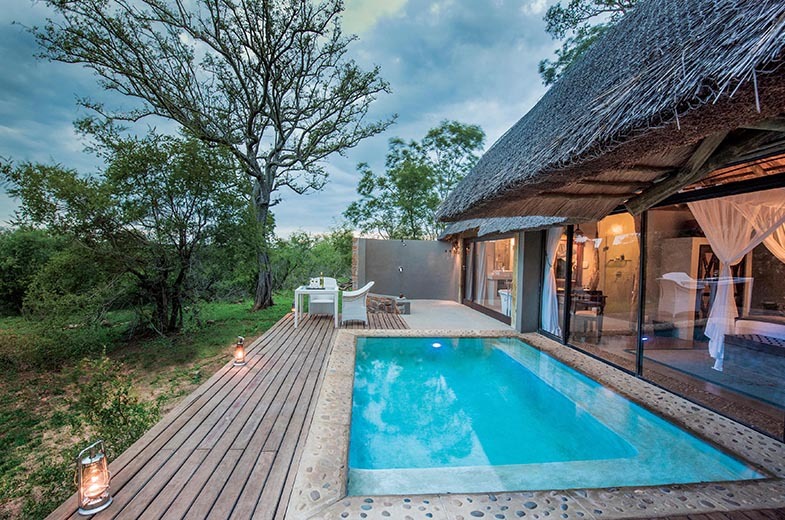 All are en-suite and have plunge pools and double indoor and outdoor showers. 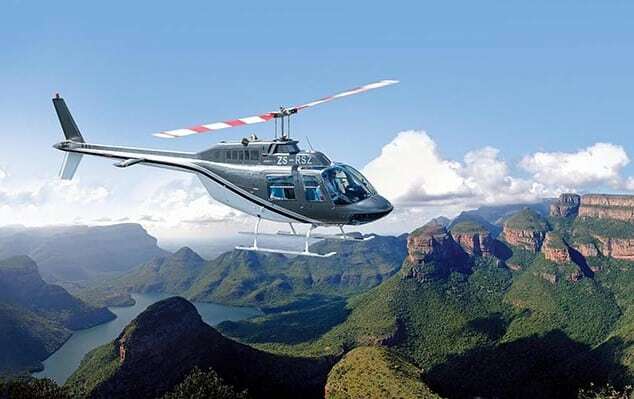 Four, including a honeymoon suite, have raised decks with wide ranging views. All are air conditioned and have fans. 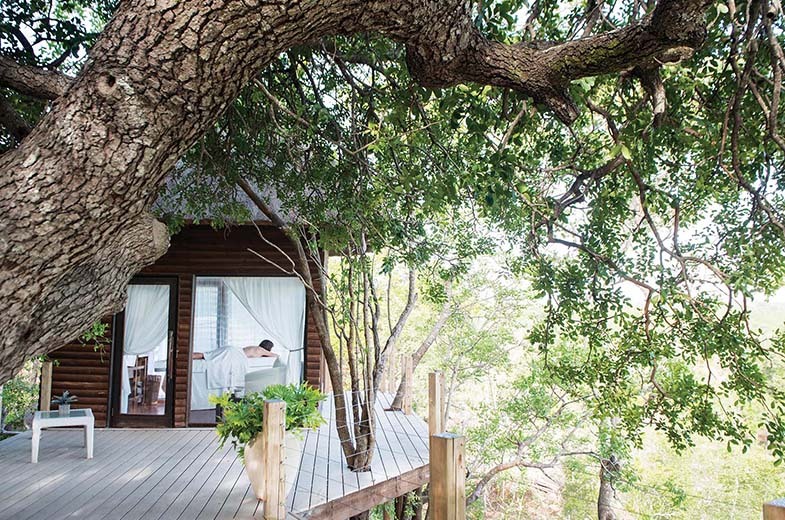 There is a glass-fronted treatment sala with views over the plains. 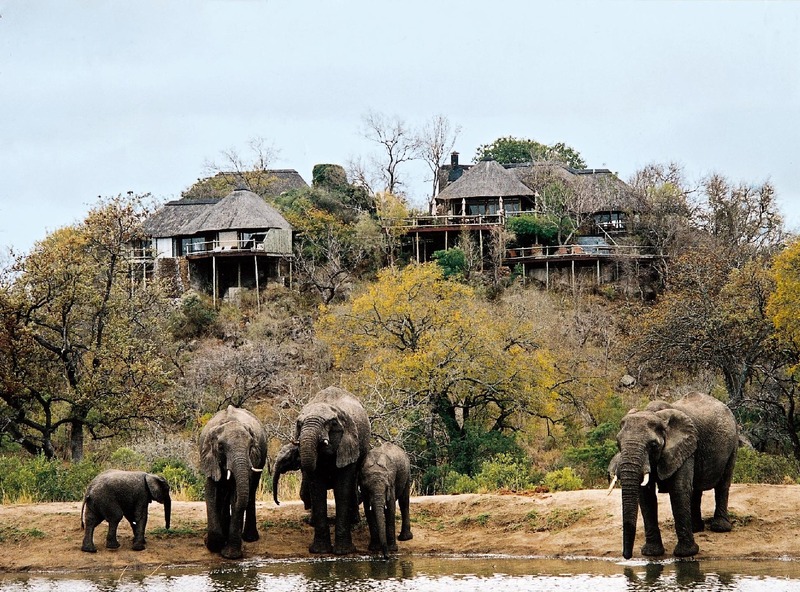 A fully equipped gym overlooks the waterhole. 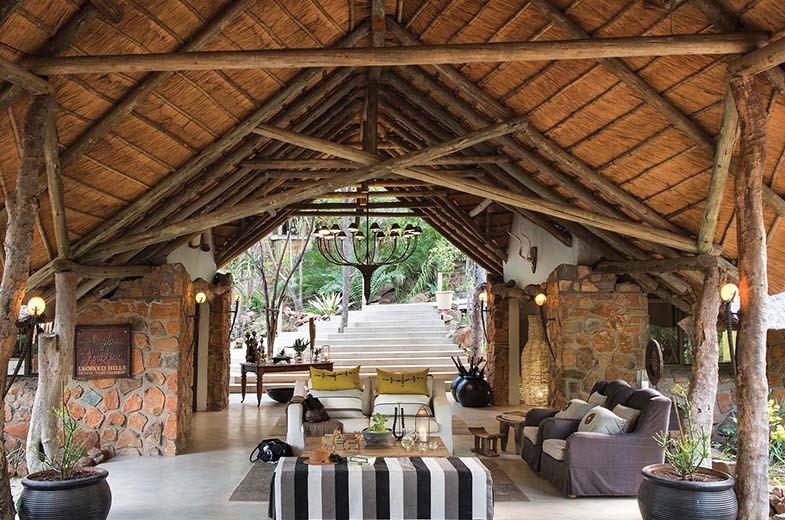 An inviting lounge has breathtaking views over the bush. Facilities include an extensive library with internet access, and a curio shop. The cuisine is outstanding. 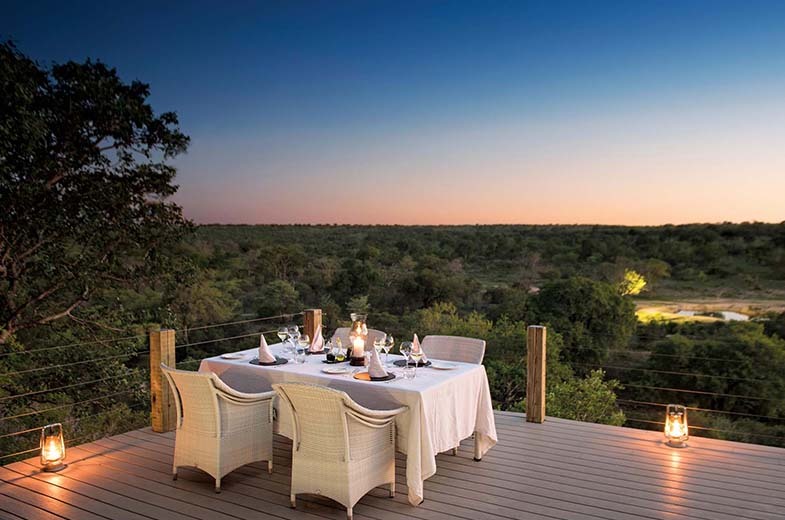 Silver service dinners are enjoyed in the elegant dining room or on the deck overlooking the floodlit waterhole under the stars. 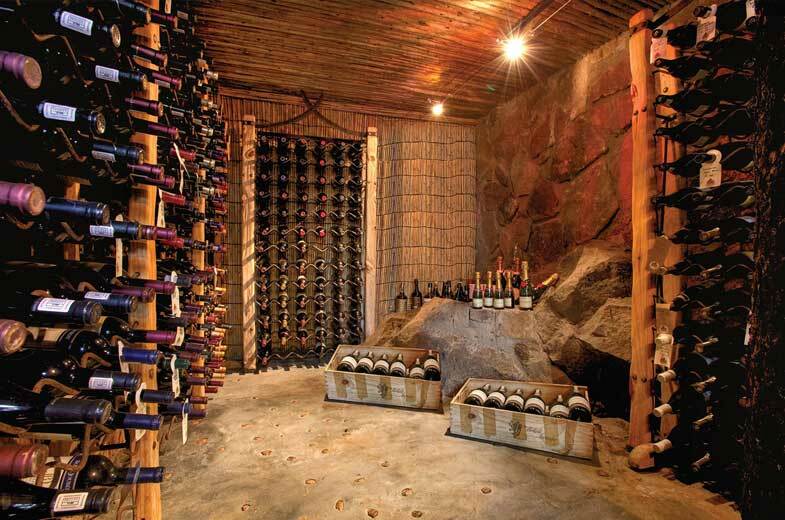 The wine cellar is a treat worth visiting for connoisseur and amateur alike. A sommelier will help you pair local wines with your menu for the evening. 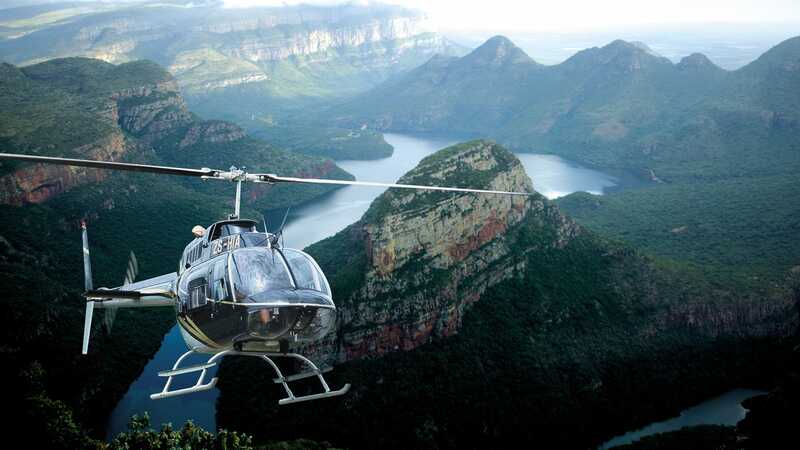 Helicopter outings of varying length are on offer, from ‘flips’ over the Blyde Canyon, to lunch in the mountains of the escarpment.